Economic Resources: Slouching Towards Brusselfurt? Jack London's story White Fang, tells the tale of two men who trudge across the snow swept landscape of the Alaskan Frontier accompanying a sled-dog team hauling a dead man in a coffin. All along their problem-ridden route the two men are stalked by a staunch pack of starving wolves, headed by a sensual, seductive but mortally dangerous she wolf. Heeding instinctively the siren call of the she wolf, all the dogs are drawn, one by one, away from the warmth and safety of the communal campfire only to get themselves eaten and killed. Finally even one of the trekkers himself succumbs. Of course the coffin and its contents (which was the whole point of the expedition) are irretrievably lost, but not everything here is a negative, since in the process the she wolf mates with one of the luckless victims giving birth to a hybrid creature: White Fang. This modern "half breed", of course, and in true Darwinian fashion, grows up even more savage, morose, solitary, and deadly than any of those who gave birth to him. It isn't hard to see how this moving allegorically could be easily applied in its entirety to the process of European Economic and Political Unification, but in the short essay I embark on here I will meticulously avoid the temptation of attempting to offer deeper pschoanalytic interpretations, nor will I address the tricky little question of what might lie inside that irretrievably lost coffin. I will simply focus on the much more direct question of whether it is, at the end of the day such a good idea to let all those sled dogs wander off and out one at a time into the night, straight into the jaws of those ever so hungry wolves. Hope they tell us, does spring eternal, but evidently some eternities are shorter than others, and all hope that Europe’s battered economies might be just about to turn themselves around must by now be in even shorter supply than the credit our companies and consumers are looking to find in the local branch of their favourite bank. The latest nail in the aforementioned coffin comes from the news that February's Purchasing Manager surveys, which provide us with one of the most accurate and valid short term indicators we have, showed a record low for the second month running. Thus, barring some spectacular (and entirely improbable) turnaround in March, it now seems almost a done deal that first quarter eurozone GDP will contract at a more rapid rate than even the one we saw in the last quarter of 2008. So, having fallen by 0.2% in the third quarter of last year, and by 1.5% in the fourth one, we may well see a further 2% drop in this one. Not quite Japan territory yet, but not far from it. Of course, there are not one, but many "Europe's", each, as Tolstoy would have it, "unhappy" in his or her own unique way. Spain, which is Europe’s fifth-biggest economy, entered its first recession in 15 years at the end of last year, and is now suffering (along with Ireland) the most severe of impacts following the blowout of a ten year housing bubble, a bubble which was fuelled for the most part by the negative interest rates which were served up under the ECB's "one size fits all" monetary policy. Forecasts for Spanish GDP growth in 2009 range from minus 3% to minus 5%, and unemployment looks set to reach around 5 million (or 20% of the working population) come December. 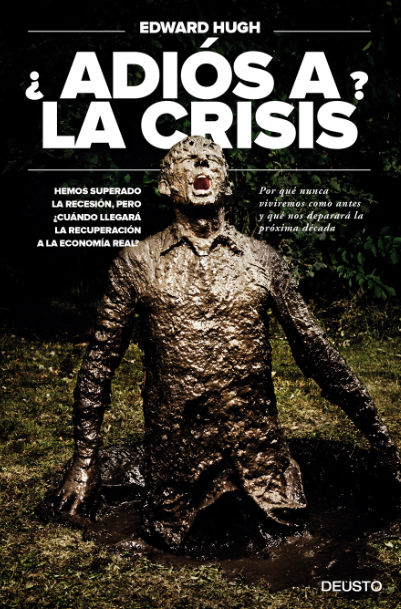 The Spanish government is still essentially in denial about the scale of the correction needed (especially given the need to bring the 10% of GDP current account deficit that was created back into balance), and is busy trying to spend its way out of trouble with the predictable negative consequence that the country's once solid fiscal surplus is now spiraling downwards into deficit at breathtaking speed (the deficit is forecast to reach a minimum of 6% of GDP this year). And the result of all this was not hard to foresee, as credit rating agency Standard & Poor’s announced last month that it was cutting Spain’s AAA long-term sovereign rating to AA+. Predictably, the yield spread between 10 year Spanish bonds and German Bunds rose to a record 122 on the news. At the same time it was not so long ago that Ireland's economy was experiencing a boom of such proportions it came to be known as the "Celtic tiger." But that was then, in the world as we knew it before the arrival of the "US subprime turmoil". Now things have changed, almost beyond recognition. The EU Commission forecasts a 5% contraction in GDP this year, unemployment is widely expected to hit the11 percent level, and house prices have plummeted. As a result the Irish fiscal deficit is expected to rise to 9.4% in 2009, after hitting 6.3% in 2008, the EU Commission has opened an excess deficit procedure, and the country is being threatened with losing its AAA debt rating by Fitch Ratings. The situation is so severe that the Irish Prime Minister was only recently forced to issue strenuous denials that he was threatening the unions with bringing in the IMF if they did not agree to immediate wage reductions in the public sector. As a result of the crisis the cost of insuring against a default on Irish sovereign debt has risen steadily, with credit-default swaps on Irish government debt hitting a record 396 basis points in the middle of February. But the EU is not only facing new problems with former growth stars inside the tent (growth in Italy and Portugal remained decidedly lacklustre even after the creation of the eurozone), there are also important and growing issues arising among the EU's most recent members, those still waiting patiently in line at the entry point to the monetary union's ticket holder's enclosure. Eastern Europe's economies, and their banking systems, are now starting to feel the chill winds of the global financial crisis and recession. But the situation in Eastern Europe is very different from that in the West, and their economies and credit ratings evidently can’t support such dramatic increases in their debt levels. Thus, in the case of those countries having a significant home-banking presence, like Latvia’s Parex, or Hungary’s OTP, the support of external organisations (the IMF, the World Bank, the EU) becomes rapidly necessary when the bank in question starts to have liquidity problems. Then, as a direct result of the consequent bailout the country's debt to GDP ratio starts to rise in a way which then places even subsequent eurozone membership in jeopardy. Latvia’s Debt/GDP is, for example set to rise from around 12% of GDP in 2007 to over 55% in 2010, even on the best case scenario. With a 10% plus GDP contraction already in the works for 2009, it is clear that Latvia’s debt to GDP will rise beyond the critical 60% level. Hungary’s debt/GDP is already above, and rising. If we don’t do something soon, these two countries at least are being launched off towards a self perpetuating process of indebtedness which only has one end point: sovereign default. And while Latvia and Hungary may be the current worst case scenarios, the list of walking wounded is growing by the day. In fact Robert Zoellick is far from being a lone voice crying in the wilderness about the current level of risk to the countries in the East, and indeed precisely those EU banks who have been most active in emerging Europe are now busily trying to convince EU regulators, the European Central Bank and Brussels itself to coordinate new measures to counter the impact of the financial crisis confronting the region. And now, with some ten countries out there (to one degree or another, and despite the cries of "we're different") desperately looking for help from the East, 5 (including Austria) about to do so from the South, and two more (if we include the UK and along with Ireland) from the West, news has come in that one last group of battle weary combatants have finally made their way through to the hastily erected field hospitals in Frankfurt and Brussels - the Scandinavian countries - since it emerged last week that Sweden is in the middle of a much more serious recession than previously thought. Official figures for the fourth quarter of last year revealed that gross domestic product contracted 2.4 per cent quarter-on-quarter in the final three months of last year, equivalent to an annualised decline of 9.3 per cent. Denmark’s economy, on the other hand contracted by 3.9 per cent year-on-year in the fourth quarter, making this already the worst recession in three decades.Denmark is in the middle of a housing bust and the economy contracted as households spent less and the global financial crisis sapped demand for the country’s exports. Finnish output also slumped, by 1.3 percent, the most in 17 years, in the fourth quarter. Certainly the situation is less severe in the North, but in addition to the home grown recession Sweden's troubled banking sector now labours under the growing weight of debt defaults in the Baltic's and other parts of the CEE. So with the periphery down (if not positively out for the count), all eyes have been turning to the centre, and it has fallen to Germany's Finance Minister - Peer Steinbrüeck - to face the cameras on an almost daily basis to answer the barrage of press questions about how equipped the EU is to handle all the looming bailouts, as if reaching for the German chequebook was the magic remedy to cure all ills. Unfortunately nothing could be further from the truth. Germany's banking sector has been bruised and battered itself over the months, first in the US sub-prime turmoil, then in Ireland and now in the East. While Germany’s export driven-economy has suffered the impact of recession after recession among its main customers. The economic slump in the final quarter of 2008 proved worse than feared, with the country posting the sharpest fall in gross domestic product since the country was reunified in the early 1990s. And there is evidently worse to come, since the Germany private sector shrank in February at its fastest rate in more than a decade according to Purchasing Managers survey data - with the composite PMI falling to 36.3 from 38.0 in January, the lowest level registered since the series began in January 1998. The neutral point between expansion and contraction on these diffusion indexes is fifty, and a reading around 36 is compatible with an annualised contraction rate in the region of 10%. And to top it all the eurozone looks like it is headed rapidly into negative price change territory, or deflation, since the headline HICP inflation fell back significantly more than expected in January - to 1.1 per cent. This was the lowest level registered since July 1999, and a sharp drop from the 1.6 percent rate registered in December. On a month-to-month basis, prices dropped 0.8 percent. And if we come to look at the "core" inflation rate - that is consumer inflation without the volatile elements of food, energy, alcohol and tobacco, we find that it dropped by a very large 1.3% month on month in January. Indeed if we look at the core inflation rate over the last six months, the index has only risen 0.1% (or an annual rate of 0.2%). This gives us a much more accurate reading on where inflation actually is at this point in time, and where it is headed. If things continue like this, then the eurozone as a whole is headed straight into deflation, for sure, especially when the force of the economic contraction and the size of the consequent output gap are taken into account. Problem Surfeit Or Architectural Deficit? What is not totally clear at this point is whether the European Union is "overdetermined" (in terms of the problem set it faces) or "underdetermined" (in terms of the available instruments and institutional structures it disposes of for handling it). The Financial Times eurozone correspondent Wolfgang Munchau has been complaining bitterly of late - and with good reason - about the extraordinary narrow-mindedness of Europe’s economic and political leadership in the face of the current crisis, which reaches, as we have seen from Ireland in the West to Hungary in the East, and from Greece in the South to Sweden in the North. But more than narrow mindedness what we are faced with is innocence and inability to react, and frankly I am not sure which is worst. I say “innocence” because it is by now abundantly clear that many of Europe's leaders simply haven’t yet grasped the severity of the problems the continent faces (especially in Spain, or even Germany itself, let alone in the East), and I say inability to react, since we have always and forever been moving too little and too late. The initial response to the banking crisis last October was one clear example (where we saw a landshift-style volte face in the space of only one week) and the way we are now confronting the need to live up to the promises then made about guaranteeing the banking sector in individual countries which start to get into difficulty, and in particular the “systemic” banks, would be another. The apparent confusion which currently reigns over at the ECB about whether or not the eurozone can operate some sort of US/Japanese style quantitative easing - the bank is at the present time "researching" its alternatives - would be a third. But as our leaders are busy contemplating whether or how to bail-out entire nations, rather than simply individual banks, European government budget commitments steadily mount-up while their sovereign debt ratings start to buckle under the weight of a growing and deepening European recession. As I keep flagging, sovereign bond and CDS spreads keep widening, and the gap between the interest rates Greece, Austria, Italy, Ireland and Spain must pay investors to borrow for 10 years and the rate charged Germany has risen to the widest since before they adopted the euro. Credit-default swaps on Ireland rose to a record on February 16, climbing to 378.4 points, while Greek credit-default swaps hit 270 points. The yield difference, or spread, between 10-year Austrian securities and benchmark German bunds has been rising substantially of late, and hit 137 points on Feb. 18, and Austria now has a higher default risk than those Mediterranean “laggards” like Italy, Portugal and Spain, at least according to credit-default swap prices as quoted by CMA Datavision. Austrian swaps were trading at 253.3 basis points on March 3, compared with 17.5 points 12 months ago. Now ten years bad craftsmanship cannot be put straight in a day, but we are going to have to try. There is a path through to the sunlight, and we need to follow it, even if sometimes its hard to discern whether what we see before us is the light at the end of the tunnel, or the Brussel-Frankfurt express headed straight towards us. The EU needs to remedy its institutional deficiencies in order to address its crisis overload problem. Fortunately there are remedies available. In the first place EU (rather than exclusively national) bonds can be created and these will effectively give us a central treasury. In the second place, and given the deflation problem, the ECB can now follow the Bank of England and enter a further stage of quantitative easing, expand its balance sheet and buying the EU bonds in the primary market, as the BoE is set to do with Gilts and as the BoJ did in the early years of this century. Thirdly, the rules of the Maastricht treaty can be rewritten to give rapid access to the eurozone to the highly vulnerable countries of the East, and, lastly, we can write a new pact, one with teeth to give us the ability to see through the deep seated structural reforms that so many of our economies badly need. Most importantly of all, the arrival of deflation is not only a threat, it is also a challenge, and one we can rise to. Money may not be the be all and end all of everything, but having it sometimes helps, and having the power, nay the need, to print money can give Europe's central administration one hell of a lot of clout should it need to use it. As Economy and Finance Commissioner Almunia said only last week "you would have to be crazy to want to leave the eurozone right now". Well that sure is one hell of a lot of leverage to have over people, if you know how to use it. So while the first argument in favour of EU bonds may be an entirely pragmatic one, namely that it doesn’t make sense for subsidiary components of EU Inc. to be paying more to borrow their money when the credit guarantee of the parent entity can get it for them far cheaper, the longer term argument is that the ability to issue such bonds may well enable the EU Commission to become something it has long dreamed of becoming - an internal credit rating agency for EU national debt, since in the mid term the whole system of EU bonds can only work if it is backed by a very strong Lisbon type reform pact for those countries who apply to make use of the facility. This is what now needs to be worked on. And how do we know that that there won’t be yet another round of backsliding on all this? Well we don’t, this is the risk we just have to take, but sometimes you do need to simply cross your fingers and jump, since the burning building behind you looks none to attractive either. But what we do know is that since there will now be a mechanism whereby the bad behaviour of the few really can penalise the many financially, then there really will be some meaningful incentive to generate a pact, this time, that really has teeth to stop that penalisation taking place. The deficiencies in the institutional architecture to support the eurozone have long been known, and in particular the absence of a common treasury. The road to establishing the zone in the first place was tiresome, tortuous and long, the road to cleaning up the mess which has arisen as a result of these deficiencies will need to be nasty, brutish and short, or otherwise this is just what the life of the zone itself may well turn out to become.